He is a soldier in the LORD’s army (drawing people to Jesus Christ) from Christ in Tech on Facebook. He keeps losing all his information and has to update everything back into FB. Let us lift up his name and let God have his way. 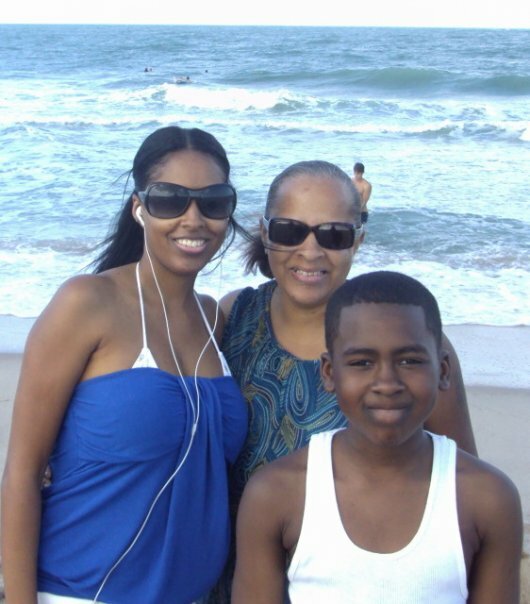 Photo l-r (My daughter “Princess Mina”, Me “Lady Bee” and my grandson “Shaun Jr”) We had so much fun at the beach on Saturday. THANK YOU LORD!